When I heard that Happy Cow Creamery has some of the best cheese, milk, and ice cream around, I knew I had to make my way to their farm. Anyone who knows me well knows I could live off of cheese & crackers. Milk is good, ice cream is great, but cheese...cheese is everything. 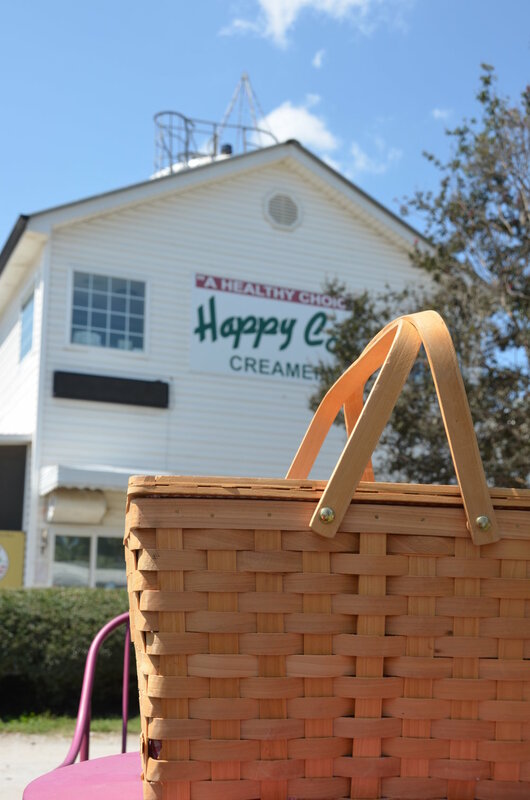 So we packed up our picnic basket and took a nice drive through the country to the gorgeous green fields known as Happy Cow Creamery. 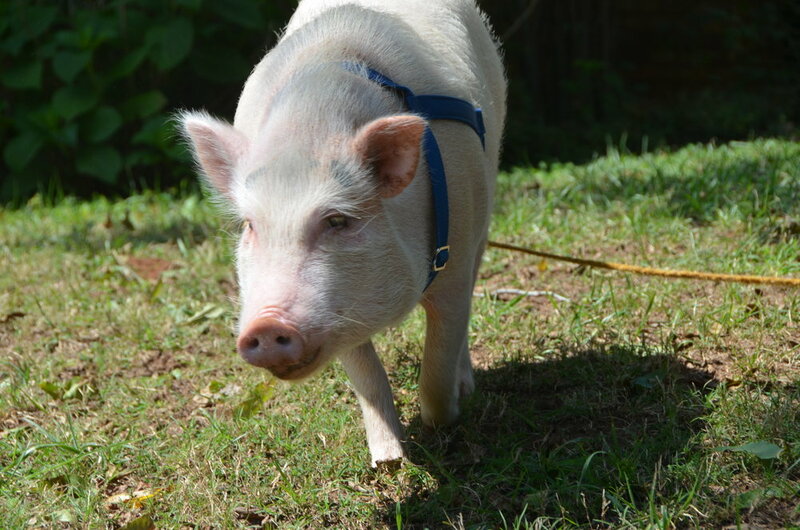 Located in Pelzer, it's about a 30 - 45 minute drive from Greenville, depending on where you are coming from. We were welcomed by Tom Trantham, aka Farmer Tom, who promptly delighted my kids with tricks his cat could perform (for cheese of course!) His passion for his farm was evident the moment he started sharing his story with me. What a treat it was meeting Farmer Tom. After a picnic outside at one of their many tables, we were off to explore. Unfortunately they are not doing tours at the moment due to the new barn they are building, but that's ok - it's a good excuse to come back when they are up and running them again. And it was a beautiful day to just relax and enjoy the farm. My only worry was that one of the pregnant cows - and there were a lot of them - was going to give birth. Farmer Tom told me this miracle of life could happen at any moment, and I wondered how I would explain that whole thing to my kids. LUCKILY no calves were born during our visit. 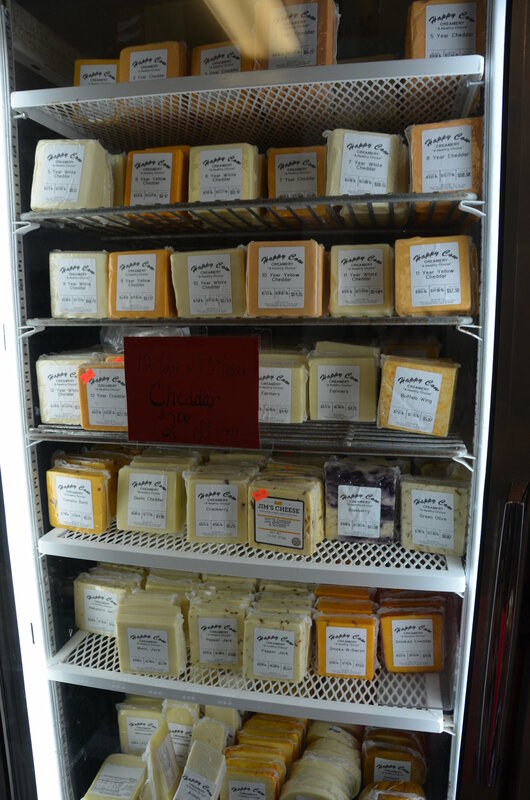 After the picnic and quality cow time came the best part of the trip - the HUGE CHEESE SELECTION. Oh goodness, I have no words. I chose the habanero jack cheese - and lemme tell ya. It was the perfect combination of creaminess and heat I have ever tasted. I wish I had bought every different type of cheese really, even though that might would have ended in divorce. We also picked up a gallon of milk, which Farmer Tom swears by (along with all of these other people), and some fresh veggies. There are all kinds of goodies in the store - I will definitely be back to check out more of their products (meaning cheese). 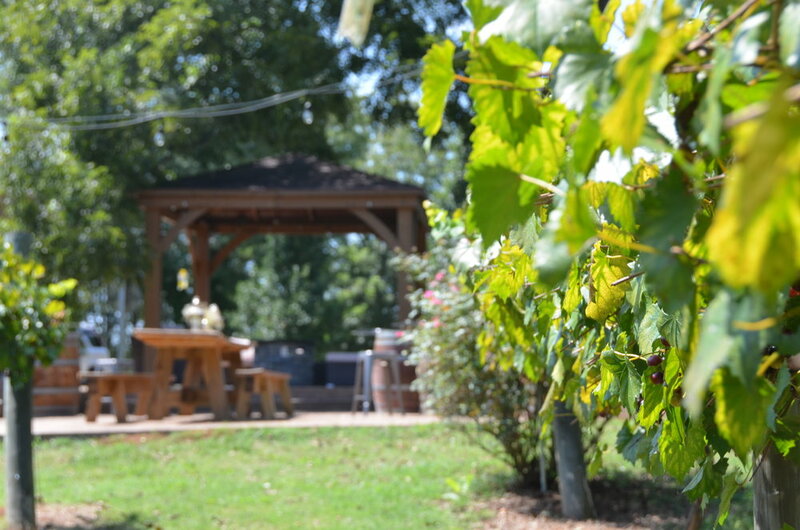 Oh - and right down the road is City Scape Winery - you have to check it out while you are in Pelzer. Locally made wine in a gorgeous setting. Obviously you need a good Malbec to go with that cheese, right?? !